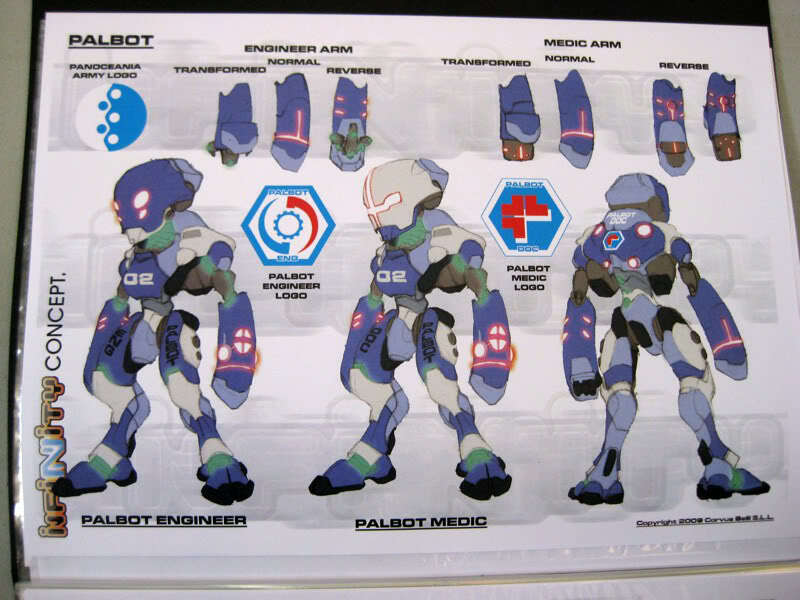 "PalBots In Omnia Research we care about our boys on the battlefront. We don’t just develop protective technologies like the famous Orc Armours® but we go one step further, providing the means to facilitate the most immediate combat recovery of casualties and damaged equipment. Thanks to the strong pledge that ties us to the Panoceanian Military Complex, there is not one soldier or piece of equipment that will go without the necessary care, no matter how tough the combat is. In Omnia Research we have created the Palbot technology to be a decisive instrument that permits help to arrive wherever it is needed, in the fastest way possible. 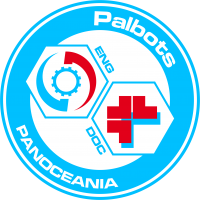 Through our Palbots, a specialist controls all the medical or technical maintenance processes from a safe point on the battlefield, without unnecessarily jeopardizing their lives. The small but fast and effective Palbots of Omnia Research guarantee the security of our boys. Omnia Research, excellence through commitment." Info-commercial of Omnia Research Corp. Plutonet, stock-market channel, only in Maya. This page was last modified on 8 August 2018, at 15:58.